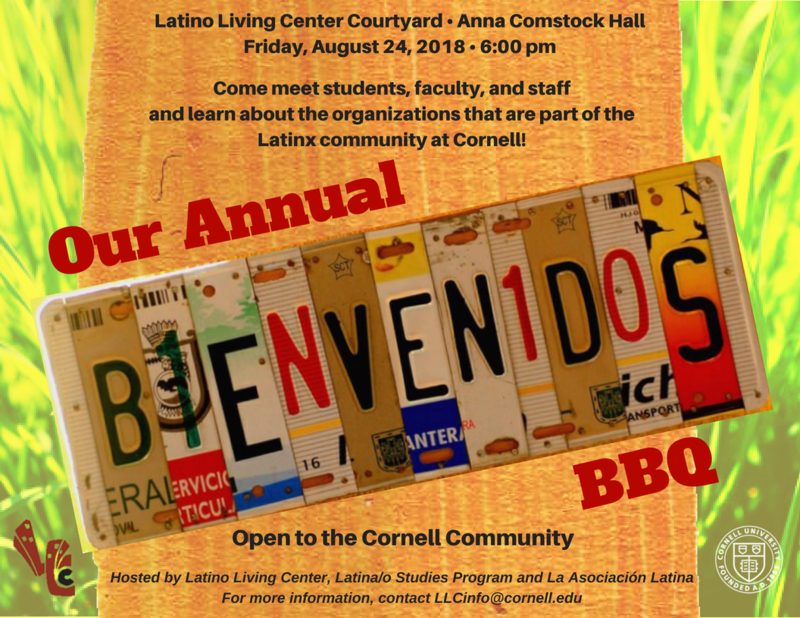 Come meet students, faculty, and staff and learn about the organizations that are part of the Latinx community at Cornell. OPEN TO THE CORNELL COMMUNITY! Hosted by the Latino Living Center, Latina/o Studies Program, La Asociacion Latina. Pretty awesome! Wish there was more food though but music was amazing and they need to renovate the place. My people should not have to live in such conditions. The people were amazing! Definitely one of the better events I've gone to because of how nice and fun everyone is.